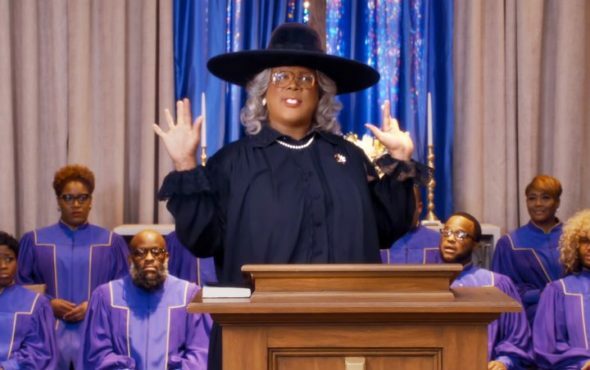 Writer/director/star Tyler Perry is back for round number eight with Madea and her crazy crew, many of whom are also played by Perry. This time, everyone has gathered for a surprise anniversary party, but surprise!, one family member turns up dead, meaning a funeral is now in order. Expect plenty of “Hush up!”‘s and smacks in the face while the supporting characters stand around like good-looking mannequins that keep repeating “You okay?” to each other.